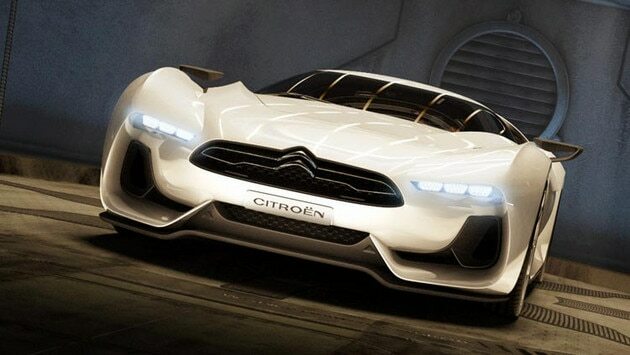 Styled to replicate a vehicle from the digital world, the GTbyCitroën is an original take on a road car. 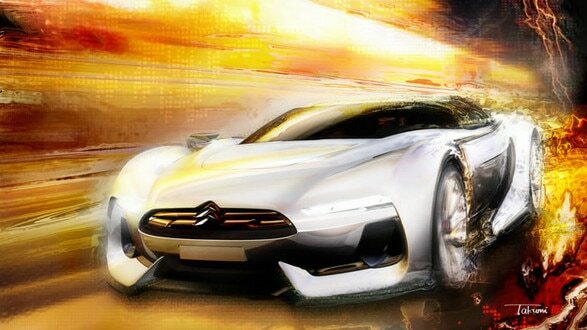 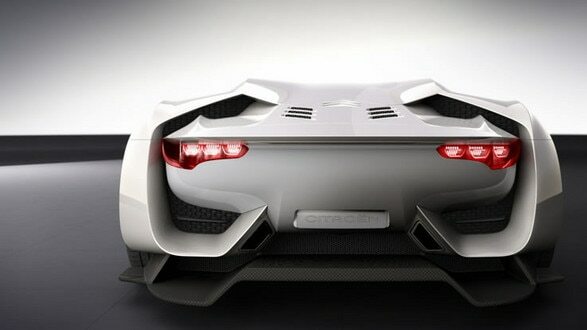 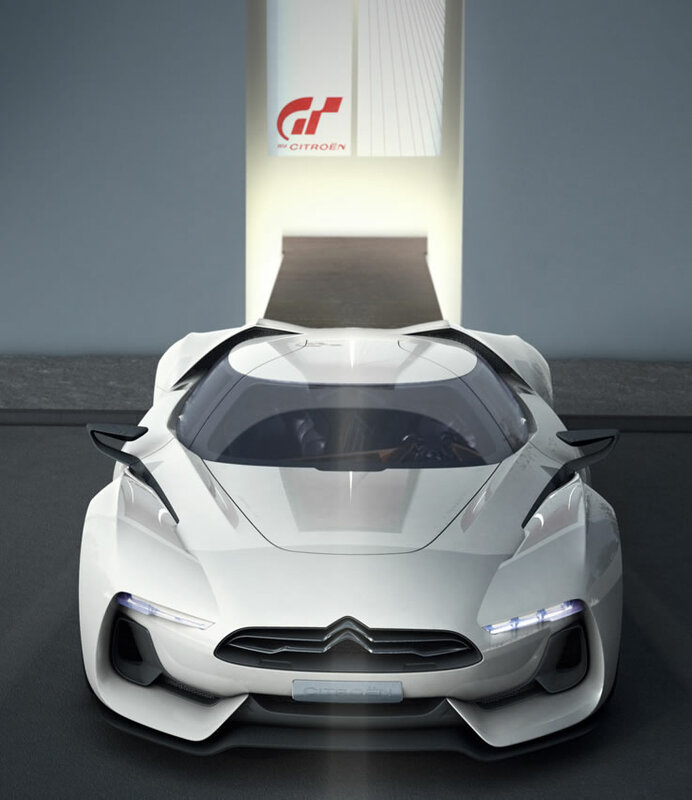 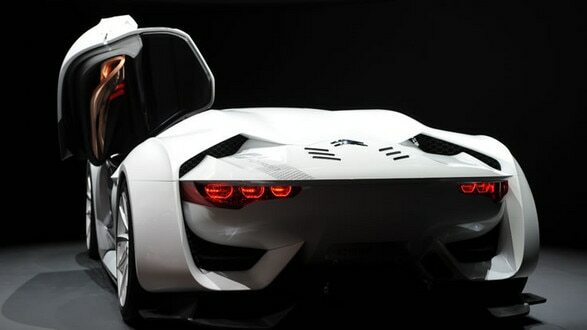 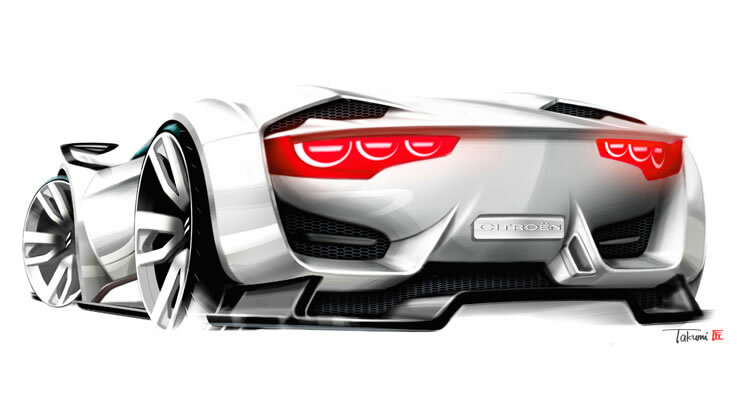 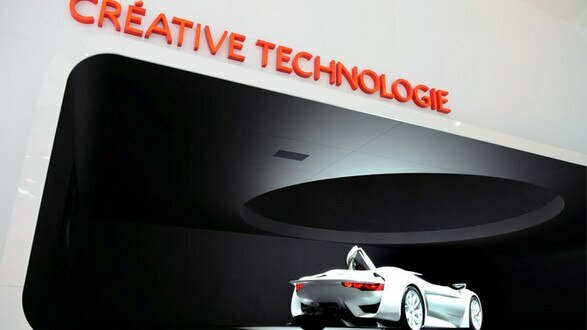 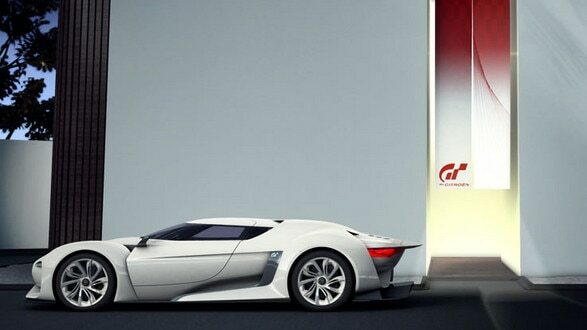 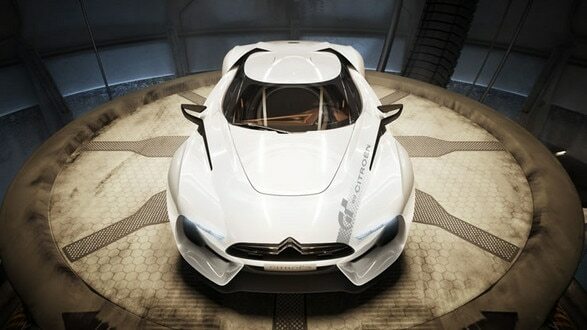 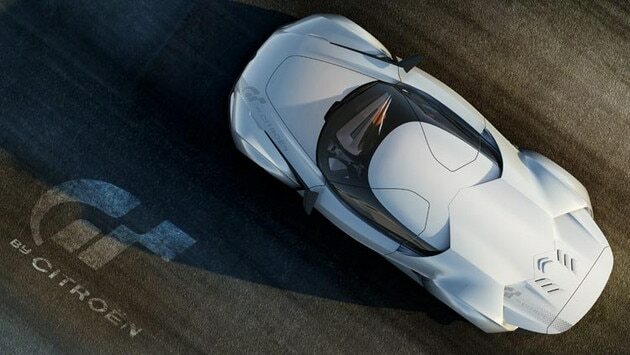 It's the result of a partnership between Citroën and Polyphony, designer of the driving simulation game Gran Turismo 5. 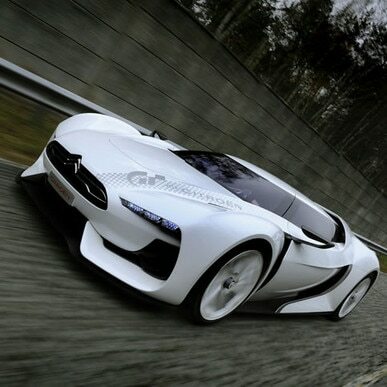 The GTbyCitroën has flowing, taut lines, stretched to the extreme. 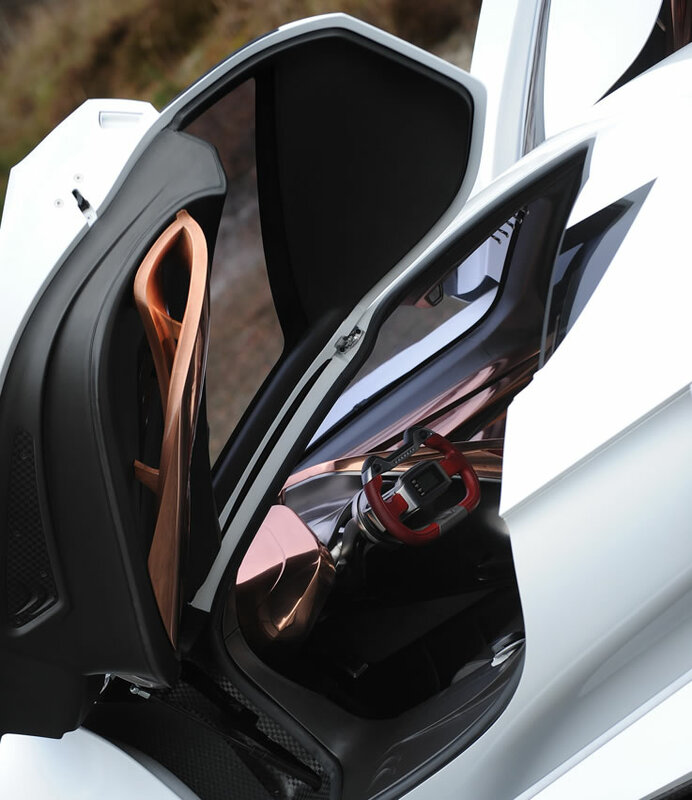 The cleanly drawn sides, ribbed at the top, and the pearlescent shade of the bodywork enhance the car's powerful look. 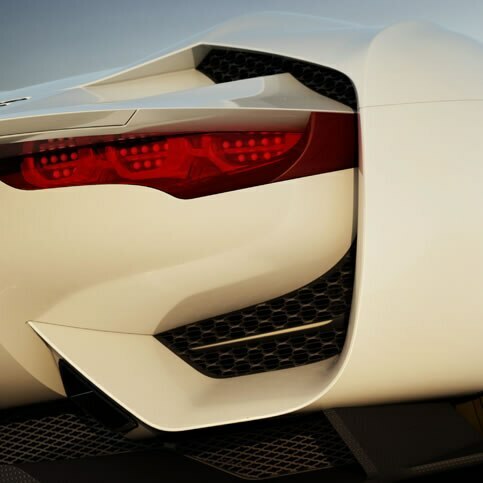 The large, wraparound windscreen flows seamlessly into the roof and into the back mobile airfoil with its exaggeratedly long shape. 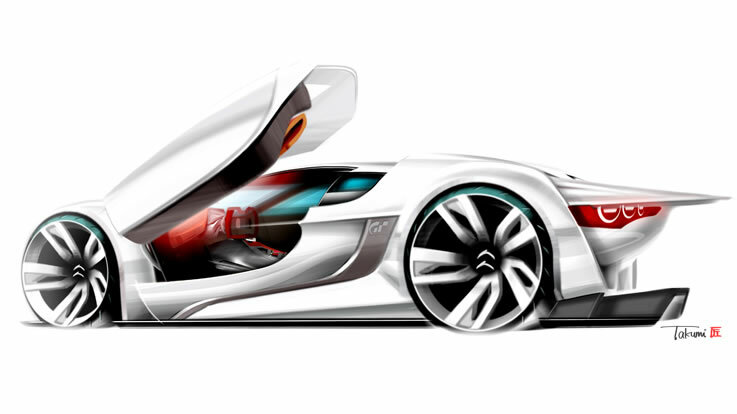 The fast-flowing lines create the impression of performance and continuous movement. 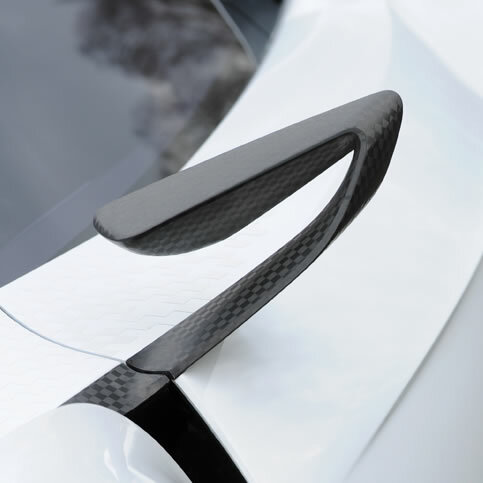 We placed special emphasis on our key values of aerodynamics and flowing design lines, enhancing the car's dynamics to give you an exceptional driving experience. 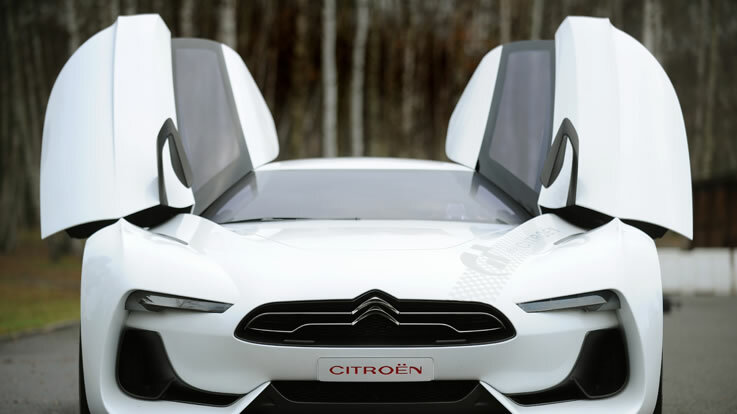 With its flowing lines, original architecture and its use of what is potentially the best environmental technology, the GTbyCitroën embodies the sporting spirit. 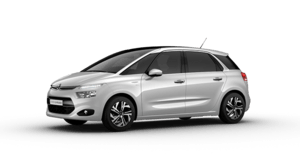 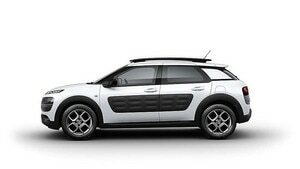 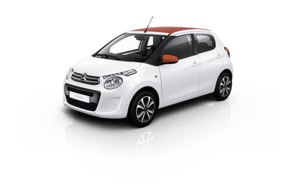 The GTbyCitroën features innovative equipment like enlarged air intakes at the front, a flat underside, and a mobile spoiler and air diffuser at the back. All these features play an active role in reducing lift and drag, pinning the car to the ground. 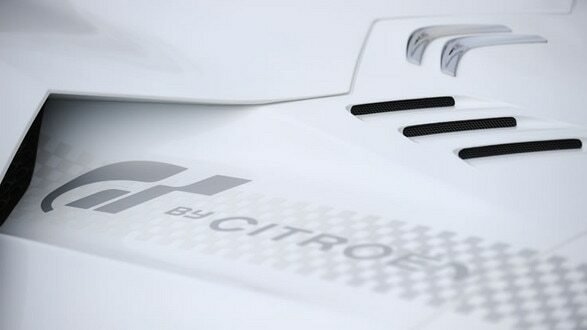 The interior design confirms the dynamic and powerful style of the GTbyCitroën. The cabin of the GTbyCitroën is designed to seat a driver and co-driver. 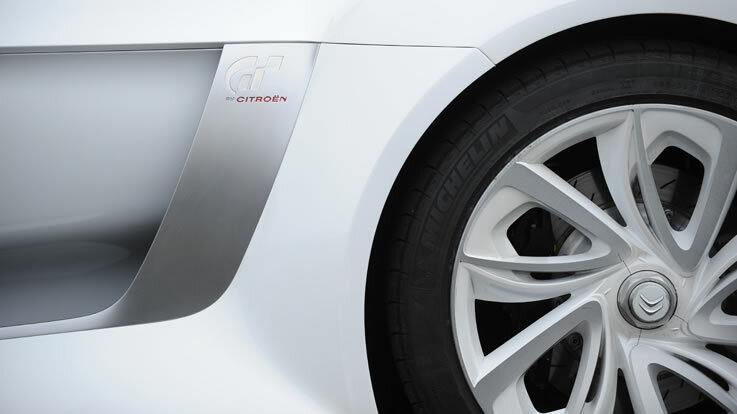 It combines rich, premium materials with a high-tech driving position, inspired by the world of motorsports. 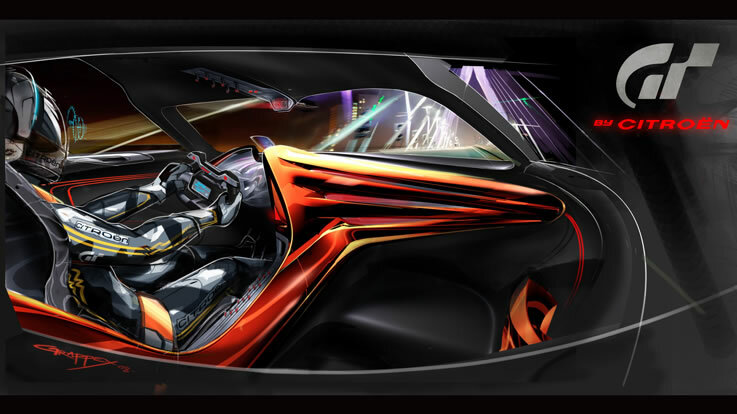 Two padded racing seats upholstered in dark leather enfold the driver and passenger for an exceptional drive. 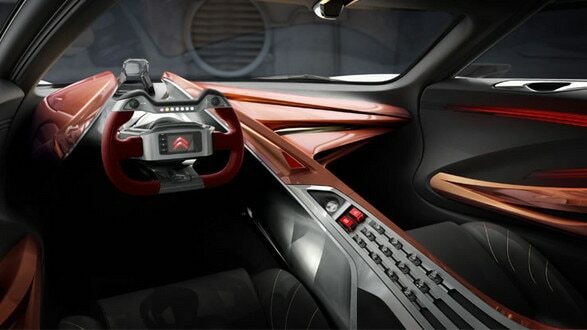 The top-stitched leather of the door panels and floor adds to the sporty feel. 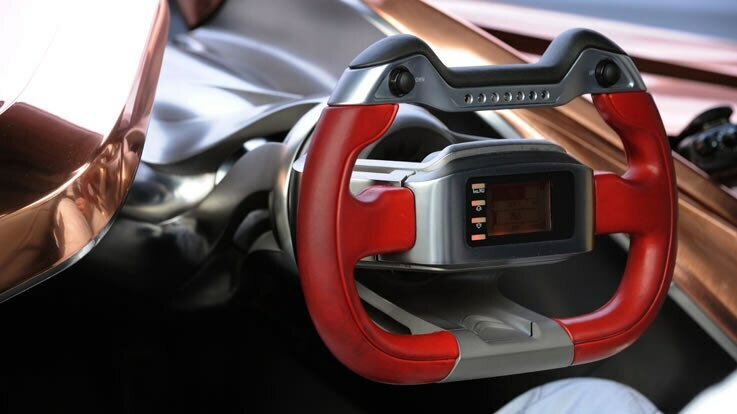 The head-up display helps keep you safe. 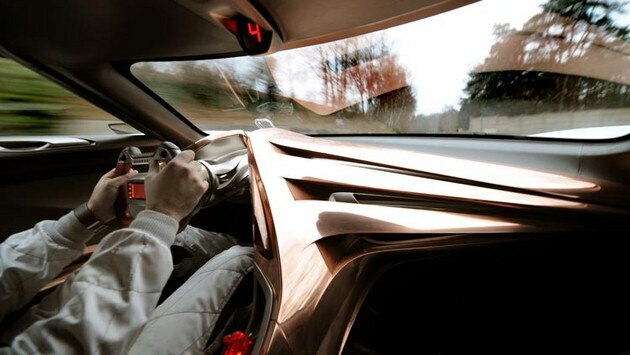 You can easily see all the information you need, without looking away from the road.